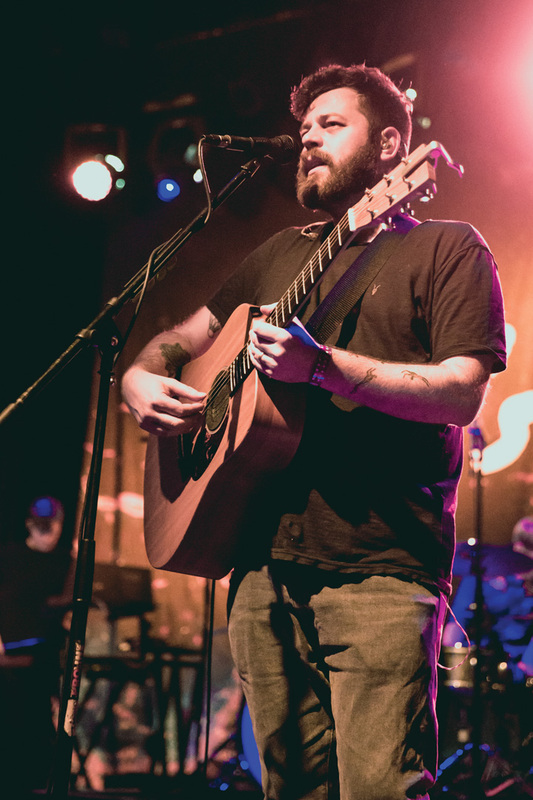 Consisting of U.K. natives Andrew Davie and Kevin Jones, Bear’s Den kicked off their most recent tour Jan. 17 at the El Rey Theatre in Los Angeles. Opening for the band was Valleymaker of Seattle and Gill Landry of Nashville. Both musicians performed before a relaxed crowd still settling in for the main show. By the time Bear’s Den came on, the venue was filled but not uncomfortably packed. Davie expressed his nervousness at performing their first concert since their longest (six week) break, however, his love for his music and fans clearly surpassed any thoughts to hold back. The divide between the band and their fans was small as Jones bantered with the crowd between songs. The crowd’s emotion was tangible in the dark room and the journey became almost an experience of healing as they sang and wept to “Above the Clouds of Pompeii,” a song of deep loss, courage and hope. As the night came to an end, Davie explained that in each city they toured they wished to perform a different cover, making the performance personal to the city. For LA, they chose to perform “California Dreaming” by the Mamas and Papas. Bear’s Den unplugged for one song and stepped off-stage into the middle of the crowd to perform the acoustic set. A silent awe fell over the fans as they listened to the deep voices fill the dim room. Closing the night, the band ended their show with “Agape,” an old-time favorite that inspired fans to link arms and sway as one. Overall, the band created an intimate setting in which concert-goers were able to rejoice and mourn the complexity of relationships through an incredible performance, rich lyrics and haunting chords.